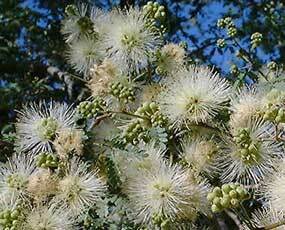 The heavy-trunked Mexican ebony grows in an open, branching habit and has dainty features�tiny leaflets and elegant white, fairyduster-like flowers. In favorable conditions, especially in loose sedimentary soils, this tree will reach more than 40 feet (12 m) high. Bees and hummingbirds are drawn to the fragrant flowers, which bloom in March or April. The bark is dark brown and furrowed. The trunk often grows eccentrically, and its branches are armed with pairs of curved thorns. 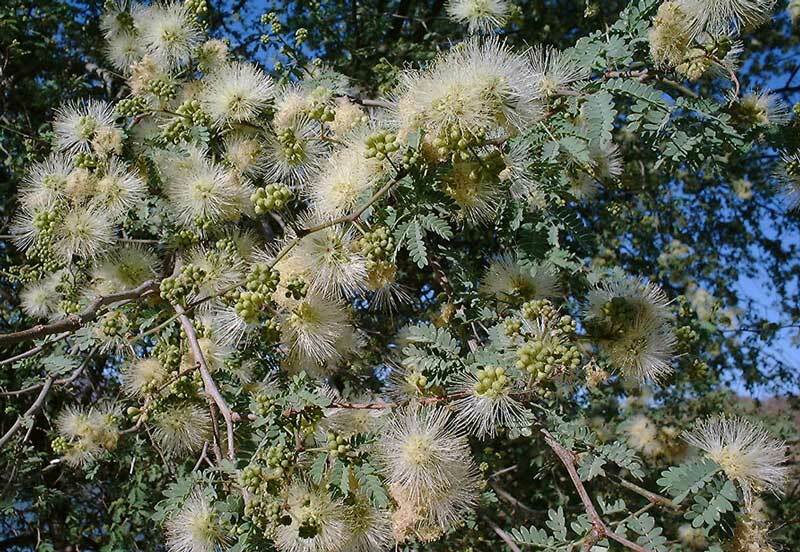 Palo chino resembles a mesquite, but is readily differentiated by its tinier leaflets and more delicate aspect. 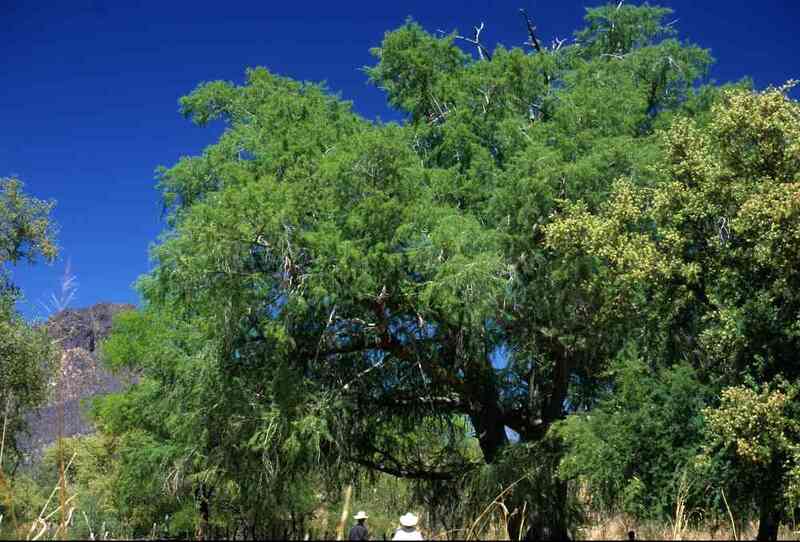 In low lying areas on the road between Alamos and San Bernardo, especially those areas with silt soils, it is the dominant tree. 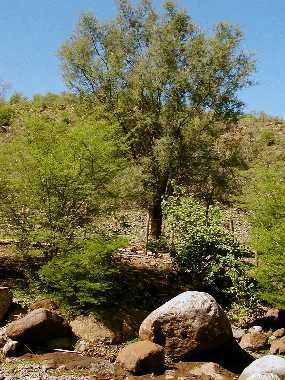 It is distinguishable from teso (Acacia occidentalis ) by its more uniform, graceful, and open appearance and its paired, rather than single, catclaw thorns. Its flowers attract hummingbirds and myriads of bees and flies. The tree is rather slow-growing and subject to over-harvesting. The hard, reddish wood is widely used for furniture, ceremonial masks and rattles, wooden bowls, and planks.It may be used for firewood, although it is not the preferred variety. The strong wood can be used for beams and posts, for which it is most attractive. Many Mayo homes retain small logs of chino for use in a variety of situations. 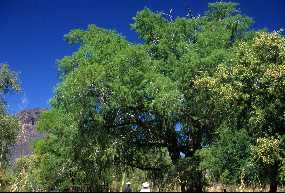 The bark can be used for tanning hides, but is generally considered inferior to mauto (Lysiloma divaricata) bark.